How to tell if someone is stealing your Wi-Fi, in this article, you will find hints to know if another device is using your Wi-Fi network without your authorization. Hackers try to access clients’ data by using the so-called “Rogue access points”. Rogue APs are devices that broadcast the same SSID name that your network is using, in order to illicity access your Wi-Fi clients’ information. In this article, you will find hints to know if another device is using your Wi-Fi SSID name without your authorization. By stealing your Wi-Fi we mean that an AP might be faking to be an authorized device within your Wi-Fi network without your authorization and so try to access your clients’ personal information. Moreover, if a hacker entered on your Wi-Fi network, he can also steal private data, like passwords for example. You have the possibility to scan your Wi-Fi network thanks to online tools and applications. 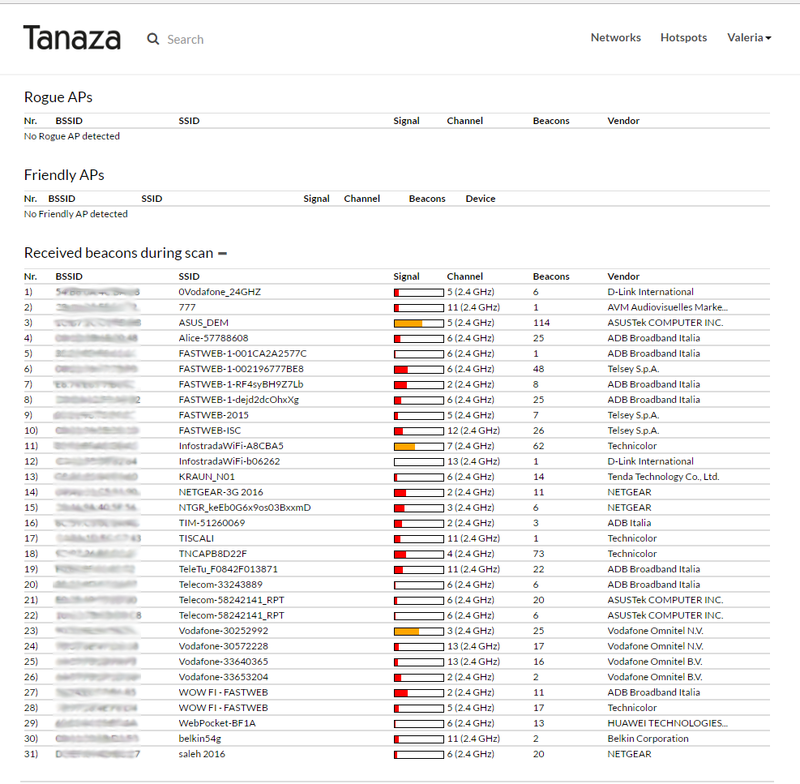 For example, you can use Tanaza’s surveying tool, that scans all networks in your area. How to protect my Wi-Fi network from hackers? To enhance the security of your Wi-Fi network, you can first start to change the password that you use to manage your Wi-Fi network. Create a personalized one with caps, numbers and symbols. Last but not least, be sure that your router runs the latest firmware in order to improve the security.